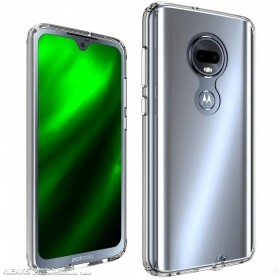 The Moto G7 is one of the most anticipated midrangers of 2019 and it looks ready for market launch, judging by the sheer number of leaks we've had of it recently. 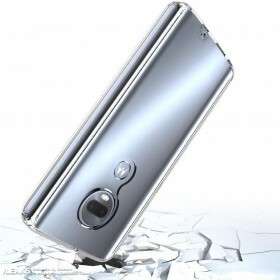 The latest one is a series of renders of the phone in a clear case. 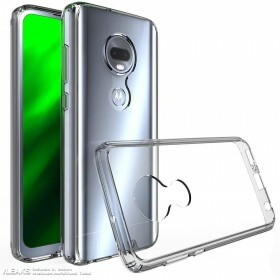 We get to see the upcoming Moto G7 from all sides and so we get a good look at the dual camera and fingerprint scanner on the rear, the screen with a teardrop notch on the front as well as the buttons and ports on the sides. 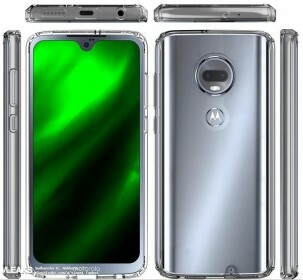 The Moto G7 will have a power button and volume button on the right side, a speaker grille, USB-C port and 3.5mm headphone jack on the bottom. Compared to its predecessor, the Moto G7 appears to have moved the speaker from the front to the bottom of the phone. Lenovo-owned Motorola is expected to launch a total of 4 Moto G7 smartphones - a Moto G7 and Moto G7 Plus with teardrop notches and a Moto G7 Play and Moto G7 Power with regular wide notches. The Moto G7 and G7 Plus will likely share most of their specs with a slightly larger screen and battery likely in favor of the Plus model. The Moto G7 Play and Power are expected to have bigger batteries with the Power suspected of having a mammoth 5,000mAh pack inside. The Moto G7 is expected to become official first sometime in February, prior to the start of the Mobile World Congress.